Had to vote meta defining since there's not a 'class identity defining' option. They clearly want druid to be pumping out tokens now that everything of theirs is gone or nerfed. Definitely strong, but I still think it's too slow for a type of deck it's "supposed" to be in. Well, it is 2 full boards for a single card and the synergy with the giant is great. Not insanely OP like the cards druid players are used to but not terrible either. Might be good. Certainly will be annoying to deal with. I've always felt that their rating system was in need of revision. As for the card - I really like that this gives you 2 separate boards in 1 card. 8 Mana may be harder to reach now though. Too slow to be impactful, but we'll have to wait to see the rest of Druid's new kit. It's okay. Treant Druid is a deck that is always generating tokens or placing things on the board. 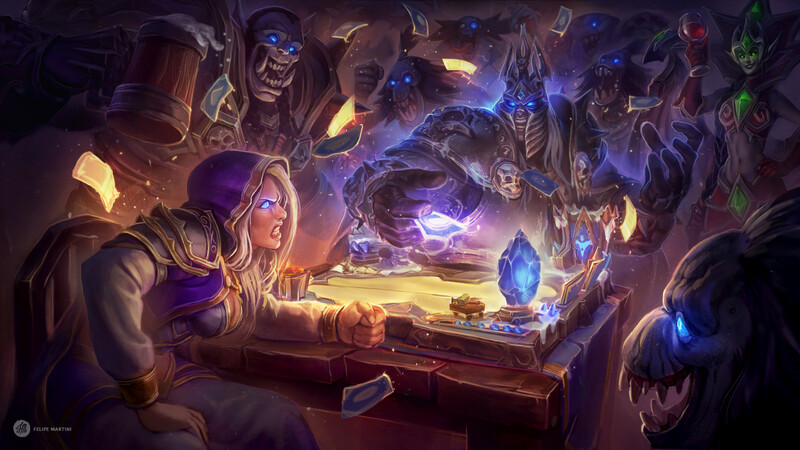 If the opponent clears all your early game attempts at building a board, you still have this for the late game and they will probably have already used most of their board clears. With two of these cards, you will be able to refill your board four times. Not to mention the synergy with Mulchmuncher. Copying those 0 cost munchers with Splintergraft and Gloop Sprayer is a pretty cool late game strategy as well. It will probably be very strong against slower decks but aggro decks will be a problem for it. Does anyone know how Twinspell is going to work in practice? If it adds a copy to your hand, then does this mean that every Twinspell card can go infinite? I thought they were going to walk away from infinite gags for a while. I think this could have been fine, if the druid ramp spells weren't nerfed (and if they still had powerful draw tools like UI, Branching Paths). 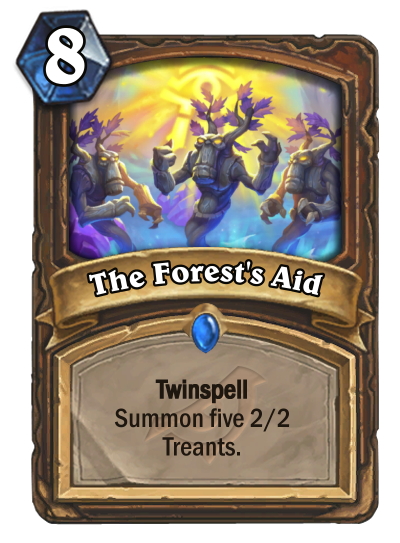 Forest's aid definitely offers a nice support for treant druid, but the 8 mana price makes it too slow for what it aims to achieve. Let's see the rest of the cards before we determine how good/bad it will turn out. @ERNewb From the preview it looks like they add a "copy" to your hand with the twinspell keyword removed. Anyways, I wanted Treant Druid to be a thing in Boomsday, so I'm hopeful for this card. If it starts being a thing I'll have to fork over the 800 dust to craft that Rastakhan card though. Twinspell? Its echo for spells but not really. Or u could just run mechatun ?